If you are in the mood for some intrigue and mystery, you should check out this newly released hidden object puzzle adventure game. Hallowed Legends: Ship of Bones Collector's Edition is a great example of how to make games fun and beautiful. There's a raven that functions as your helper who knows the local history very well. You find yourself near the village of Erlenberg. It wasn't your plan, but now it is your destiny after you crash-landed there. Pretty soon you find out that there is a strange figure that steals souls of the villagers. It is no fun for the whole village that includes you for now. You will have to take the dangerous journey in order to find out the history and reasons behind this. The game is gorgeous in what it looks and sounds. The developers have done an outstanding job putting this all together so well. The game play features everything you would expect. 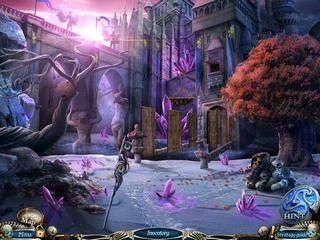 There are some hidden object scenes that are interactive and quite challenging. Then there are also mini-games. As it often is, some of them are new, the other ones are familiar but with some new twists. There's a raven that functions as your helper who knows the local history very well. Then there are goblins to collect throughout the game. And the game offers you a bonus game as you uncover the Book of Fire. In my humble opinion the game is excellent in its all aspects. 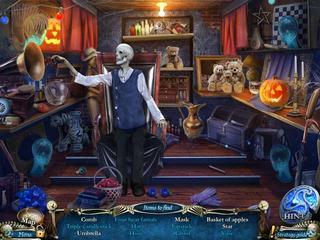 This is Hallowed Legends: Ship of Bones review. Download this game here.